Team Scholastica's recommendations for NCLR 63 attendees. 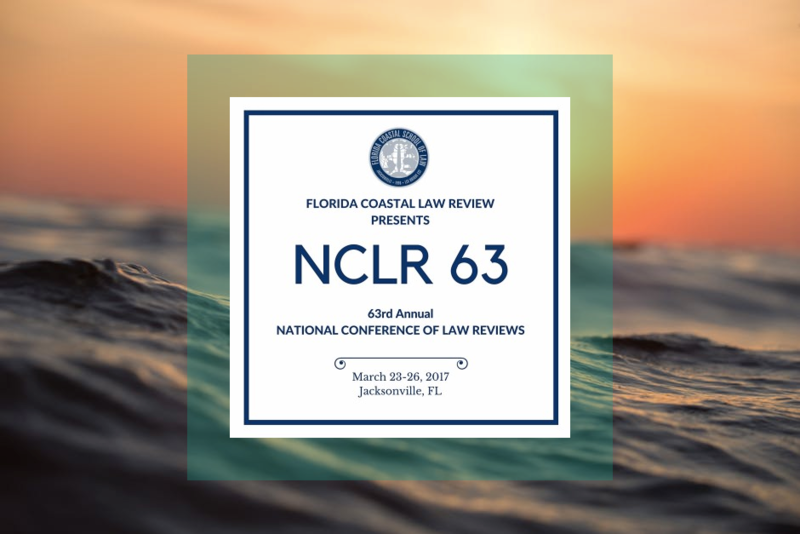 This post is part of our blog series leading up to the 63rd annual National Conference of Law Reviews. Guest contributors will be sharing what they will be presenting at the NCLR conference, how they have been helping to organize it, or why they are attending the conference this March. In this post, Scholastica’s Customer Success Manager Anna LeSuer shares how she’s preparing to get the most out of this year’s conference and how attending editors can do the same. This will be my second time attending the National Conference of Law Reviews, and I’m excited to see the editors I work with here at Scholastica (as well as escape a recently snowy Chicago). With my plethora - ahem, one year - of experience at NCLR, read below to see how I’m planning to make the most of this year’s conference! Our team wants to begin cite-checking articles electronically, how do other journals do this? We are trying to speed up our production process - are there technologies or practices other law reviews use to increase their speed? Should our law review be on social media? We don’t have much of a web presence, should we? Last year, I remember meeting an editor whose journal was considering making the transition to publishing only online for budget purposes. Having this possibility in mind helped this editor choose which sessions to attend, and gave him a great ice-breaker for mingling (or extricating from conversations…) with sponsors or other editors. One of the best parts of NCLR is being able to meet other law review editors and learn from them. The breakout sessions and keynote speakers are a big part of the conference, but I’d wager about half of the benefit editors get from attending is being able to connect with editors at different publications. Everyone going to the conference is there to learn from one another, so don’t be afraid to break away from your editorial team in order to meet some new people! The conference is conducive to editor networking: you can meet and chat with people who are also visiting sponsor tables, introduce yourself to the people next to you at the conference dinners, or grab coffee with someone you’ve just met after a breakout session. While networking in person with other law review editors is fun and an important part of the NCLR experience, it’s not as valuable as keeping in touch afterwards! Asking for the email address of the editors you meet should become a habit by the end of the conference weekend. Once you’re back home, shoot a quick note to your new colleagues! Sending post-conference emails will help both of you stay in touch about your individual law reviews well after the conference. You can then use each other as a resource throughout the year; sharing advice and comparing notes on how to publish the best volume possible. If your team does something really neat, implements a new piece of technology that improves the way you can do your work, or if you have learned something that you think could be helpful to another team, then you have a polite and often welcome reason to reconnect with your fellow conference attendees. Plus, if you do stay in contact with editors you meet at this year’s NCLR, then this time next year you will be able to introduce your future board members who will be attending the conference to your long-distance conference contacts — and they’ll all have someone to meet up with at NCLR 64! I’ll be at the Scholastica table Friday and Saturday, as well as helping facilitate our 2PM breakout session: “If I knew then what I know now…”: A facilitated discussion about article selection. If you’re already using Scholastica, I’d love to catch up on how the platform has been treating your law review so far and hear any ideas you have for improvements. If you’re not using Scholastica yet, my colleague Elli and I can show you how it works and see if it’d be useful for filling your volume! Two attending editors share what they learned at the 2017 National Conference of Law Reviews.